That's a step in the right direction. I really like my G7 but if T-Mo could score the Moto Z line, that would be awesome. The great thing about the Moto E phones is the price. Cheaper than the Moto G, not quite as good as the G series. But they are still great phones for the little they cost. If you don't have a lot of money to spend and want a stock Android experience in a smooth phone, this is it. They have z2 force available. Really? I didn't see it on their website or in the store. As of this morning they have no Motorola's listed on their site. I even asked the sales rep if they carried it and he said no. 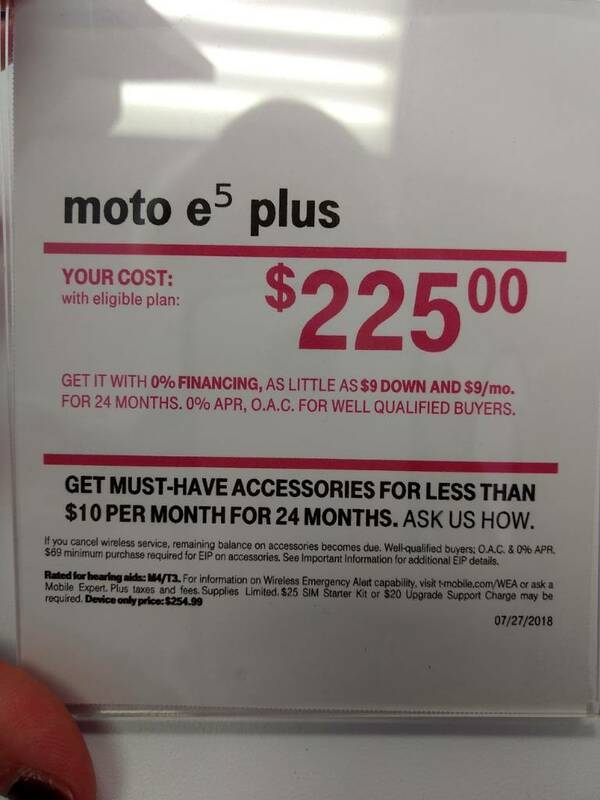 You may be confusing T-Mo with Sprint. They carry the Z2. My sister in law picked up a couple of them a few months ago from TMobile store in Michigan. I love the Motorola Z line but the G7 is brand new and should be supported for a while. Truthfully the more I use my G7 the more I like it. But like I said in the other thread I do miss the Moto actions. And I agree $720 is a little steep for a phone as old as the Z2. Upgrade price is $225 + 20 upgrade fee. We bought a couple today as gifts to our mom and our daughter for good behavior. You're killing me BK. . Everyone in my family got that Moto sale email except me. Now that I know about it, the decision is torturing me. A new Z2 Force for $399....hmmmm. Thanks! That big blue mirror is a pretty sick phone.